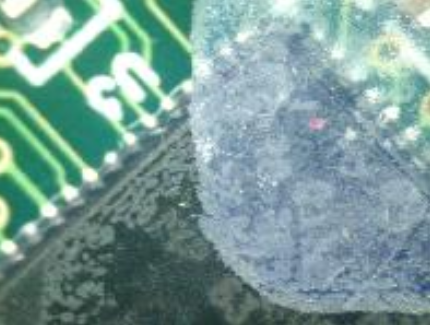 One of the most common customer support calls we receive is to solve conformal coating application issues. Given the number of variables involved in a conformal coating process (e.g. coating formula, viscosity, substrate variations, temperature, air mix, contamination, evaporation, humidity, etc. ), no wonder issues come up frequently. 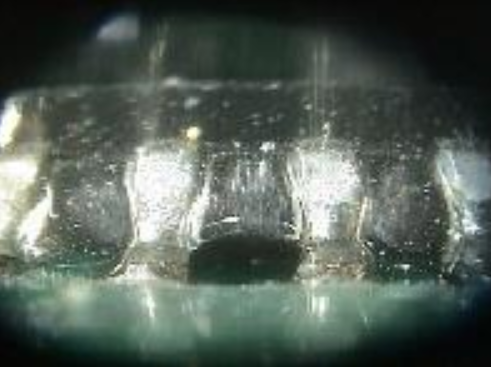 Let’s take a look at some of the more common problems that can crop up when applying and curing conformal coatings, and the potential causes and cures. Dewetting- This is caused by contamination on the substrate that is incompatible with the coating. The most likely culprits are flux residues, process oils, mold release, and fingerprint oils. 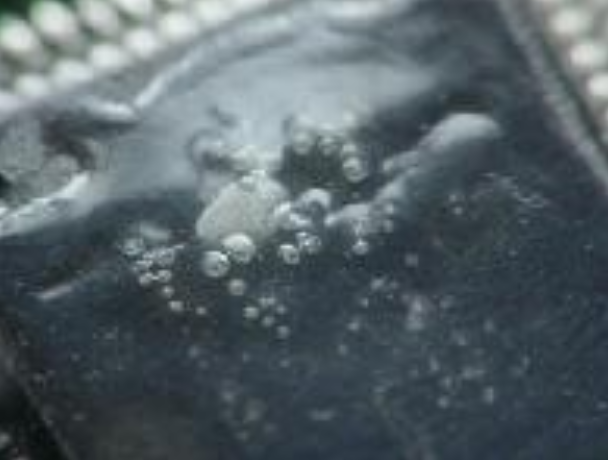 Dewetting can be recognized simply by observing areas of good coating application next to areas where the coating beads up and moves away from the contaminated area. Think of it as putting a drop of detergent in oily water – the oil immediately moves away from the single drop. Cleaning the substrate thoroughly prior to coating application will resolve this. 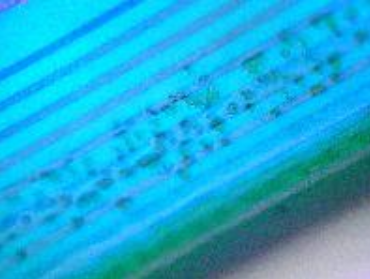 Delamination - There are a couple of common causes for this problem where an area of the coating loses adhesion to the substrate and can lift from the surface. One main cause, again, is a contaminated surface. Usually, you will only notice delamination after the part is out in the field, as it is usually not immediately observed. Proper cleaning can take care of this issue. Another cause is insufficient tack time between coats. The solvent has not had the proper time to flash off prior to the next coat. Ensuring adequate time between coats is a “must”. Air bubbles - Can be caused by a coating layer not leveling and adhering to the substrate surface, causing air to be trapped. As the air rises through the coating, it creates a small bubble. Some bubbles collapse to create concentric rings in the shape of a crater (for larger caters, see “Fisheyes” section below). Another cause can occur during brushing. If the operator is not extremely careful, the brushing action can entrain air bubbles into the coating with the subsequent effect above. More bubbles and voids - The majority of bubbles are caused by a solvent that has been trapped and then vapors through the coating layers. 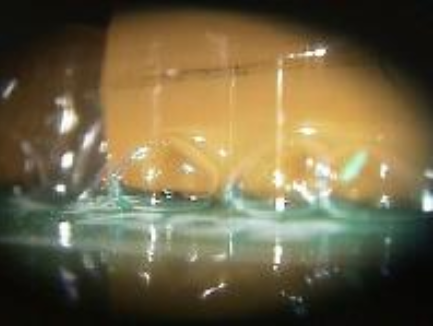 If the coating layer is too thick, if the coating goes into accelerated (heat) cure too quickly, or if the coating solvent evaporates too quickly -- all of these result in the coating surface to skin over while there is still solvent underneath that is vaporing up, causing bubbles in the top layer. Fisheyes - A small circular area, highlighted by a “crater” in the center, and is seen usually during spray application or shortly thereafter. This can be caused by entrained oil or water in the sprayer air system and is commonly seen when using shop air. Prevention comes in the form of a well-maintained filtration system to scrub any oil or moisture from entering the sprayer. Orange peel - This looks exactly what the term implies – an uneven, mottled appearance. Again, there can be multiple causes. If using a spray system, if the air pressure is too low, this can cause uneven atomization which can result in this effect. If using a thinner in the spray system to reduce the viscosity, sometimes the incorrect choice of thinner can cause it to evaporate too quickly. This does not allow the coating adequate time to level out properly. Still another cause is applying too many heavy wet coats – go back and reset the sprayer parameters and adjust the spray technique accordingly. These are only a few of the more common defects, and most others are variations on a theme. 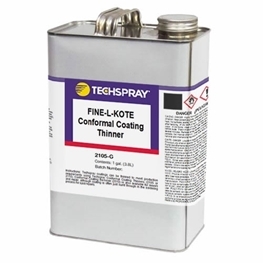 For more information on selecting the best conformal coating for your application, check out our conformal coating guide. If you need any expert advice about your specific application, contact us.